provided in conjunction with family counseling. Clinicians work with children ranging from preschool-aged to young adults to improve their emotional wellbeing and help them build skills to enhance their development. Our team consists of child and adolescent psychiatrists, licensed clinical social workers, licensed professional counselors, clinical alcohol and drug counselors, and family therapists. NewBridge has a team of specially trained clinicians to help children regain their footing following a crisis. Treatment is tailored for each child, and may include family and group counseling in addition to individual counseling. NewBridge reaches out to school officials and others involved in a child’s life to build a lasting support network. Helping children overcome mental health problems is serious business, but sometimes the best treatment is play. NewBridge provides one-on-one play therapy to help children as young as 3 work through their issues and connect with others, providing a safe place for them to navigate what’s happening in the real world. NewBridge runs weekly group therapy sessions for peers who are dealing with similar issues. 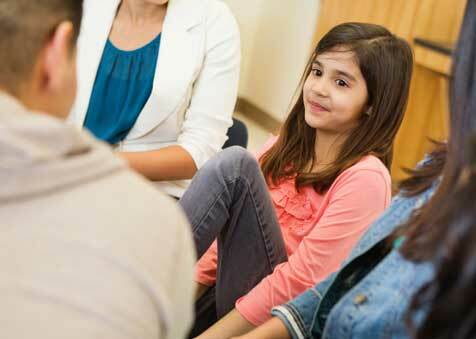 The social setting allows groups of children or adolescents to learn effective coping skills from one another under the guidance of a clinician. Issues include drug and alcohol use, depression or anxiety, healthy relationships, self-esteem and confidence. Participants may also be in individual and family counseling. Adolescents who abuse alcohol or drugs face social and emotional issues that differ from addicted adults, and because their brains are still developing, the substances also affect them differently. NewBridge offers a program specifically for teenagers between the ages of 15 and 18 who are grappling with alcohol and/or substance abuse problems. The program, run by licensed or certified alcohol and drug counselors and licensed social workers and counselors, has a rolling enrollment so teenagers can get help as soon as they need it. The treatment involves weekly individual and group counseling. Young adults in NewBridge Jobs Plus, an alternative education and jobs program, receive one-on-one career counseling to cultivate their strengths, personality and aptitude. Participants receive guidance in confidence building, resume writing and interviewing skills, and are eligible for job training. Contact us at (888) 746-9333, or at services@newbridge.org.